In seminal works ranging from Sources of the Self to A Secular Age, Charles Taylor has shown how we create possible ways of being, both as individuals and as a society. In his new book setting forth decades of thought, he demonstrates that language is at the center of this generative process. For centuries, philosophers have been divided on the nature of language. Those in the rational empiricist tradition—Hobbes, Locke, Condillac, and their heirs—assert that language is a tool that human beings developed to encode and communicate information. 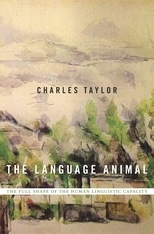 In The Language Animal, Taylor explains that this view neglects the crucial role language plays in shaping the very thought it purports to express. Language does not merely describe; it constitutes meaning and fundamentally shapes human experience. The human linguistic capacity is not something we innately possess. We first learn language from others, and, inducted into the shared practice of speech, our individual selves emerge out of the conversation. Taylor expands the thinking of the German Romantics Hamann, Herder, and Humboldt into a theory of linguistic holism. Language is intellectual, but it is also enacted in artistic portrayals, gestures, tones of voice, metaphors, and the shifts of emphasis and attitude that accompany speech. Human language recognizes no boundary between mind and body. 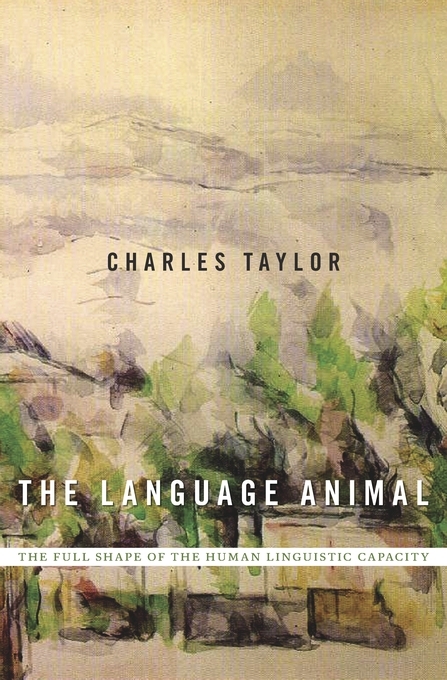 In illuminating the full capacity of “the language animal,” Taylor sheds light on the very question of what it is to be a human being.